What are webinars? Well, these are events over the internet that is similar to your run-off-the-mill scheduled events. 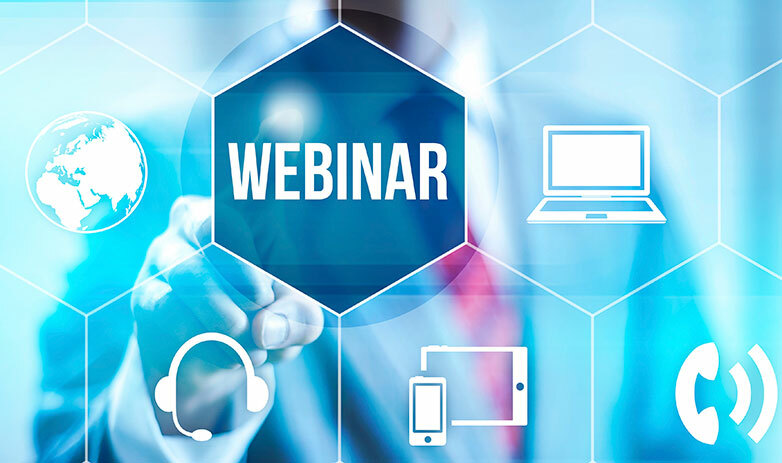 In the world of the internet, webinars are another marvel of modern technology that businesses, irrespective of their age and size can make the most out of when the sole purpose is to grab as many eyeballs as one can in a small time frame. Webinars are perfect for a brand or a business that wants to capture the attention of its TA. Webinars are the perfect digital marketing tool when it comes to putting the TA in a state of mind where they are open to buying readily from you, be it a service or a product. A webinar should not only be designed in the perfect manner, but it should also be accompanied with the right techniques for the same to succeed in the online business sector. When a company hosts free webinars, they are making the most out of the opportunity by updating their contact database. On top of that, webinars are hosted mainly in social media channels making creating a new database or updating the existing one a breeze. Why one should stress on updating their database you ask? Well, the contact database is the most valuable asset for a company if their objective is to taste success in minimal time delay. Webinars are the perfect medium when one is looking forward to enhancing the image of their company in the market. It also allows them to create awareness about their brand both in the minds of their existing customer (in case they have launched a new product or service) and in the eyes of prospective clients. Growth and adaptation go hand-in-hand in online business. Growth is only possible in the business sector if a company widens their focus, has eyes on business expansion and is always on the lookout for new audience. Webinars are your friend as it allows you to do all of the above without spending heavily! Webinars, as per statistical data put forth by digital marketing companies in Bangalore, are known for their impressive conversion rates, when compared to other digital marketing tools. If executed in the proper manner, one can sell a huge chunk of their products during the course of the webinar or ensure several prospects are opting for the services offered by the company. In a nutshell, you can increase the profit margin of your brand or company by many folds with the help of a carefully constructed and executed webinar.